but it sure feels like it! The current Social Democrat (SDP) led government started at the end of 2011 with a huge stick of high ambition for serious reforms; they vowed with their so-called “Plan 21” to rid Croatia of the “bad” effects the previous Croatian Democratic Union (HDZ) had according to them inflicted upon Croatia’s economy; they vowed that they would turn Croatia’s economy around and reduce significantly unemployment rate. At beginning of June 2014 (referring to its March 2014 paper) the European Commission had handed down its first analysis of Croatian economy, with recommendations, since Croatia became EU member state in July 2013. The Commission’s analysis shows that Croatia (its government) has been dragging its feet when it comes to achieving critical reforms and hence, suggests a need to continue monitoring Croatia’s performance in areas identified with the frame of EU membership. 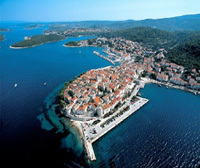 Around the same time an IMF’s assessment said, “Croatia remains stuck in an unusually drawn out recession”. 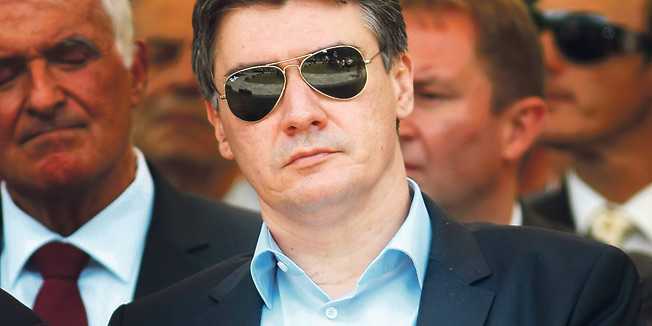 Croatia’s seemingly strangely deluded Prime Minister Zoran Milanovic, who – as if in a state of a trance – often appears as though talking to himself or trying to convince himself of what he’s saying is right, reacted to the Brussels assessment as a “very good” one! At the same time his relationship with his finance minister Slavko Linic was brewing into a mighty scandal that had the potential of bringing down the government. Milanovic failed and still fails to see that any political bickering and blame game will only deteriorate the country’s perspective to exit from the crisis. The recent almost manic changes, shuffles and reshuffles within the government, under the guise that these are needed so that the government “can get on with its job, properly” (Prime Minister Zoran Milanovic’ words June 2014, Croatia HRT TV news) undoubtedly leads one to scratch one’s head in bitter anger and say: What have (!) you been doing all this time while in office? Despite the huge efforts SDP had been investing in trying to appear unified and focused on the job of implementing its “Plan 21” roses aren’t blooming from their court for Croatia or for the Party. Indeed, panic and intolerance started to show especially few months back when relations between Prime Minister Zoran Milanovic and Finance Minister Slavko Linic poked their ugly face out – under a cloud of corruption allegations the latter was May/June finally ousted from his position as minister as well as from his membership in SDP (Slavko Linic was replaced with Boris Lalovac). Then few days later two other major portfolio ministers are ousted and replaced – albeit under a cloud of incompetence as one could conclude nothing less from the reason given by Milanovic “they are replaced due to their large workload”! (Rajko Ostojic minister for Health replaced with Sinisa Varga and Zeljko Jovanovic Education minister replaced with Vedran Mornar). After his dismissal, Ostojic (who is said to have supported Linic rather than Milanovic in the SD Party room) said he did not at all feel tired, on the contrary – he is full of energy and strength! As Milanovic suddenly pushes an unconvincing line of wanting to be surrounded by experts rather than politicians it is surely unrealistic to expect groundbreaking reforms in the remaining less than two years of this government; besides the fact that the government obviously lacked and still lacks the expertise it boasted about at the very beginning of its mandate, the country will soon again enter an election phase because of the presidential election later this year. 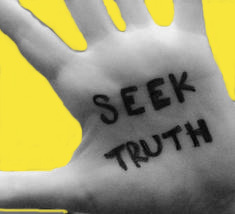 Actually, Social Democrats have proven this week in the Croatian Parliament to be working hard at diverting the public’s attention from their party’s internal hostilities and visible incompetence at governance to a renewed vigour in pointing the finger of “shame and blame” at the Croatian Democratic Union (HDZ) as some criminal organisation because its former leader and Prime Minister Ivo Sanader was convicted of serious corruption. The current president and a future presidential candidate Ivo Josipovic, an SDP loyal and musician, has labeled this corruption as high treason; playing the tune Social Democrats will undoubtedly dance to during his presidential campaign as well as in regurgitating the mantra from the initial phase of their rise to government, which they hope will get them out of boiling hot waters: it’s HDZ that is to blame for everything! The way things are looking right now is that the Social Democrats will for sure end up as the government that deals mainly with internal party battles, engaging in political bickering and recriminations against HDZ designed to prop-up Josipovic’s chances at getting a second presidential mandate, while dragging its feet with needed reforms. Indeed, the last couple of days have seen Josipovic unleash a sharp, rather hateful tongue against HDZ who has put forward a tremendous presidential candidate in Kolinda Grabar-Kitarovic, whose mere presence seems to rattle Josipovic and have him shaking in his boots. Were Josipovic a president whose main concern is in the delivery of needed boost to the Croatian economy he would steer away from fueling political bickering between the two major parties (HDZ and SDP) and show a way out of the rut Croatia is in, in more ways than one. But, then again, the Social Democrat led political bickering does camouflage incompetence in governance and I trust that the voters will recognise this in both the presidential and, later, in the general elections. Political bickering does leave a sense of abandonment in voters; a sense that nothing is more important to the government than its personal political survival. If they got things right to begin with as they always claim too, they wouldn’t need to reshuffle. It’s all tactics with hidden agendas. They pull the same kind of rubbish over here. Aye, and for some places that is so much worse than for others especially if some are running regimes. Hopefully the new cabinet will achieve the best for Croatia.Regards.